Antonio “Tony” Mojena is an internationally recognized producer specializing in television, event and concert production, and artist management. Born in Cuba in 1963, he traveled with his family to Puerto Rico in 1965. Mojena graduated from the University of Puerto Rico and engaged in postgraduate studies at NYU. In 1986 he began his career with Channel 2 (Telemundo) in Puerto Rico and was soon promoted to Public Relations Manager, New Business Manager, and Manager of Advertising and Promotion. Tony Mojena established his first company in 1990. Today TM Television, TM Entertainment and Adventure Productions employ over 60 people. For over 30 years, his programs have dominated the Puerto Rican market. He currently produces 14 hours of live programming per week for Telemundo Puerto Rico. In 1999 Mojena produced the inaugural Billboard Latin Music Awards and continues as Executive Producer, helming the event and broadcast for the Telemundo Network. The program airs in the US, Puerto Rico and in more than 25 countries around the world. and transmitting live through Telemundo Puerto Rico for the past eight years. This event raises money to provide treatments to cancer patients for Puerto Rico’s Cancer Hospital, and has made the entire country actively participate in the effort. In the same way, the Muscular Dystrophy Association Telethon has in Mojena its most steadfast volunteer, along with the commitment of his companies that have been producing the program for more than 20 years. Most recently, Tony has joined Luis Fonsi and other artists in leading efforts to rebuild Puerto Rico following Hurricane Maria, by working with multiple organizations. A visionary and media enthusiast, Víctor Montilla Torres was born May 26th, 1970. He earned his bachelor’s degree from the Loyola University’s School of Communications in New Orleans. At the age of 16, he interned for television pioneer Paquito Cordero, who became his guide and mentor and who offered him his first job as producer in 1988. He became General Producer for six iconic productions under Cordero Teleproductions. He launched his own production company in 2000, creating and producing the animated series “Los del Barrio” and later, “En Casa de Luis Raúl”. 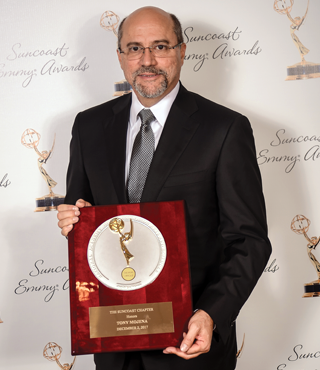 Simultaneously, during that time, Montilla achieved the approval and inclusion of Puerto Rico as part of the Suncoast Chapter of the National Academy of Television Arts & Sciences, allowing Puerto Rico, for the first time, to be a part of the coveted Emmy Award process. The chapter appointed him Vice President of the Suncoast Chapter for Puerto Rico and years later, he became the first Puerto Rican to receive the Academy’s highest honor, the Governor’s Award. In 2006, Montilla accepted the presidency of the Puerto Rico Corporation for Public Broadcasting, which he led during financially difficult times, and where he established the path to the Corporation’s self-sufficiency with the department of TUTV Business. In 2010, Montilla became the Executive Vice President of Casiano Communications. But television was always Montilla’s true passion, and in 2013, he became Executive Vice President of New Business for Telecinco Inc., developing the launch of a new television station in the island. In 2014, as Executive Vice President and General Manager, Montilla launched two television stations — ABC Television Network, through the new affiliate, ABC-5 and ViVe in collaboration with RTVE (Radio Televisión Española). In 2017, Montilla accepted a new challenge as General Manager of Olympusat in Puerto Rico, an independent media company specializing in production, distribution and technical services. Throughout his career, Montilla has gained the recognition of his colleagues, as well as other important members of the business community. 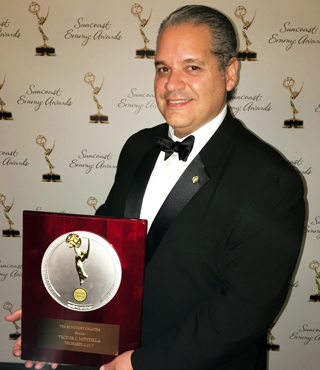 He was named TV Executive of the Year by AdNotas Magazine, as well as being awarded the Zénit Award from the Chamber of Commerce of Puerto Rico, and in 2016, was awarded the Top Management Award in Media, from the Sales and Marketing Executive Association (SME).